Healthy more youthful looking skin can be achieved by different skin rejuvenation methods: Ablative, Non-Ablative, Chemical, Mechanical, and Photo-Thermal. 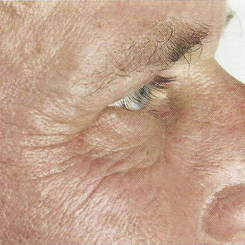 Ablative techniques resurface the skin to stimulate its regrowth and repair. Examples are chemical peels, dermabrasion, and laser treatments. Non-ablative treatments include Intense Pulse Light (IPL) and Fraxel. Although people have had positive results from these methods, some have experienced side effects such as burns, scars, hypo-pigmentation (skin lightening), hyper-pigmentation (skin darkening), sun sensitivity, and overall thinning of the skin. 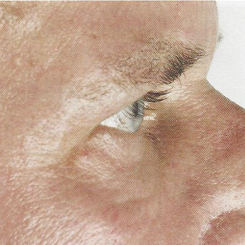 These are caused by the Epidermis (outer skin layer) being removed completely or damaged during treatment. Dermal Micro Needling (DMN) is a non-ablative, minimally invasive mechanical skin rejuvenation method. It evolved from Skin Needling and Dermal Rolling and is also called Cosmetic Needling or Medical Needling depending on the area treated. Scientific theory and technique are based on skin’s ability to repair itself after damage. With DMN, a sterile micro-needling pen device is passed over the skin creating microscopic holes or perforations (“micro injuries”) that trigger the self-repair mechanism. Skin recovers and heals with new collagen resulting in a firmer, smoother, and younger appearance. Additional names for this procedure include Dry Needling, Dry Tattooing, Needle Abrasion, Needle Dermabrasion, Micro Needle Therapy, Collagen Induction Therapy (CIT), Multitrepannic Collagen Actuation (MCA), Percutaneous Collagen Induction (PCI), or Fractional Needle Dermabrasion. What are Advantages and Benefits of Dermal Micro Needling (DMN)? It is 100% Natural: DMN stimulates your body’s own collagen production. It improves skin texture, softens wrinkles and scars, and tightens skin without chemicals or lasers. No toxins, chemicals, or fillers are injected into the skin, and no lasers or chemical acids are used on top of the skin. Softens Lines and Wrinkles: A regenerative healing process occurs so collagen forms from the base upward to reduce fine lines and wrinkles naturally. Scars Can Be Reduced: The mechanical breakdown of mildly raised (elevated) scars (such as surgical scars) can be achieved as well as the remodeling of depressed (indented) scars from Acne or Chicken Pox. Epidermis Remains Intact: DMN does not remove or damage the outer skin layer (Epidermis), preserving healthy skin and blood vessels to maintain normal cellular functions. Safe for All Skin Types: Micro-needling is not associated with pigmentary changes so it can be performed on all skin types. Also, it can reverse the signs of sun damage and hyper-pigmentation (age spots). Fast Healing and Minimal Downtime: DMN is precisely controlled and gentle with minimal skin trauma for quick healing. The treated area looks like a sunburn and recovers rapidly. Safe and Repeatable: Since needling helps strengthen skin and does not thin it, there is no limit to the total number of treatments. It can also be performed safely on skin that previously had dermabrasion or laser resurfacing treatments. How Many Treatments are Advised? Since all skin is different, a definite time frame or specific number of treatments cannot be predicted. Still, patients often see improvement immediately after the first treatment. 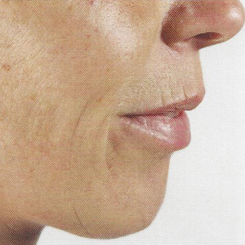 Lasting and more significant results occur after a series of treatments spaced 4-6 weeks apart. For skin rejuvenation, 4-6 treatments (4 weeks apart) is recommended. 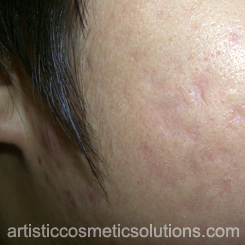 For acne scarring, 6-12 treatments (6 weeks apart) is recommended. 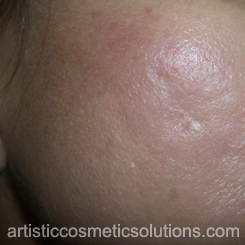 (NOTE: Deeper wrinkles or acne scars will require more treatments than shallow imperfections). Upon completing a series, skin will continue to improve over the next 6-12 months when combined with appropriate post-treatment care. Periodic treatments every 6 or 12 months may be needed for maintenance. An electronic pen-like stamping device is used that has adjustable speeds and needle depths. A sterile disposable cartridge is attached that has a flat head with multiple pin-sized needles. The head oscillates vertically to create micro punctures in the skin. The pen slides on top of the skin aided by serums containing nutrients and antioxidants. The micro-channels created by the needles allow for deeper transdermal delivery of nutrients into the skin that assist the production of new collagen and elastin. 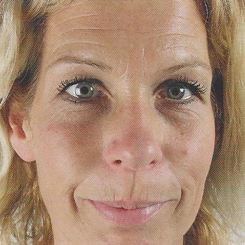 Although dermal rollers can achieve similar results, the dermal stamping devices are less painful and do not cause angular or tearing punctures. Dermal rollers are also difficult to clean and sterilize, while the dermal stamping pens use disposable needle cartridges that eliminate risk of cross-contamination from blood and lymph. Following a DMN treatment, it is common to experience redness (Erythema) and stinging as with sunburn. Redness decreases significantly (about half) in 24 hours and is mostly gone in 48 hours. Any remaining redness is typically gone by 72 hours. Mineral makeup can be worn to cover-up redness after 24 hours post-treatment. Since micro-needling does not involve injections, no allergic reactions are likely to occur and there are no long-term side effects. During healing your skin may feel somewhat tight followed by mild peeling, flaking, or itching. These effects are normal and are reduced by using proper after care products. (NOTE: There is possibility of skin darkening with sun exposure post-procedure for some skin tones, e.g. Fitzpatrick III-VI). Active Acne; Rosacea; Eczema; Psoriasis; Actinic (Solar) Keratosis; Keloid or severely raised scars; raised moles, warts, or lesions. History of Herpes Simplex/Zoster outbreak will require antiviral prophylaxis (e.g. Valtrex). Oral Accutane (Acne medication) must be discontinued for 6 months prior to treatment. Vitamin A derivatives (Retin-A, Renova, Differin, OTC products containing Retinols, etc.) must be discontinued 72 hours (3 days) prior to treatment. Diabetes (possible delayed wound healing or infection) requires clearance from physician. Pregnancy requires clearance from physician. Botox–wait at least 48 hours post-injection. 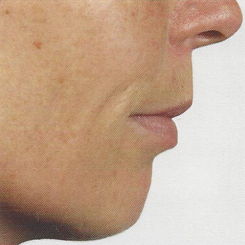 Dermal Fillers–wait at least 2 weeks post-injection. Absolute contraindications to DMN include: Scleroderma; blood clotting problems; collagen vascular diseases; cardiac abnormalities; immunosuppression; active bacterial or fungal infections; scars less than 6 months old. 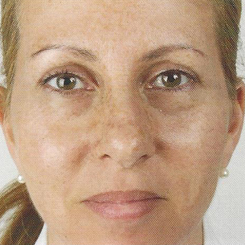 Dr. Laura Reed has performed skin needling and permanent cosmetic procedures since 2006. Being a retired Optometric Physician, she has extensive education in human anatomy, physiology, pharmacology, and pathology with decades of experience in aesthetics. 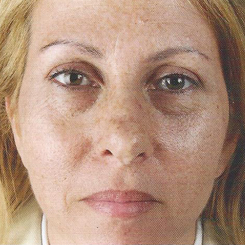 She is a certified provider for Dermatude Meta-Therapy, Mesopen, and Dermapen 2 and 3. 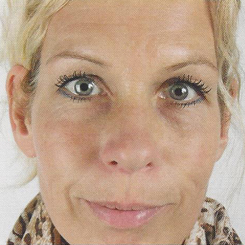 She is also the only specialist in Idaho who is cross-trained in the dermal stamping technique and traditional skin needling therapies learned from Susan Church at the International Institute of Permanent Cosmetics in Southern California. Working in tandem with plastic surgeons, Ms. Church pioneered successful needling therapies for scars at the Grossman Burn Center in Sherman Oaks, CA.